If you're able to have Mom close by, there are lots of ways to incorporate her in your wedding planning experience. Here are a few. While there are plenty of wedding to-dos that should include you and your future spouse only, the engagement period is a time to be celebrated by all of those who love you—especially your parents. 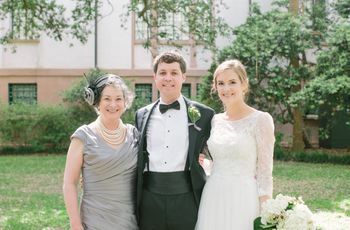 If you’re lucky enough to have your mom close by, incorporating her in the wedding planning process is a wonderful idea, and something that you will likely remember and cherish for years to come. 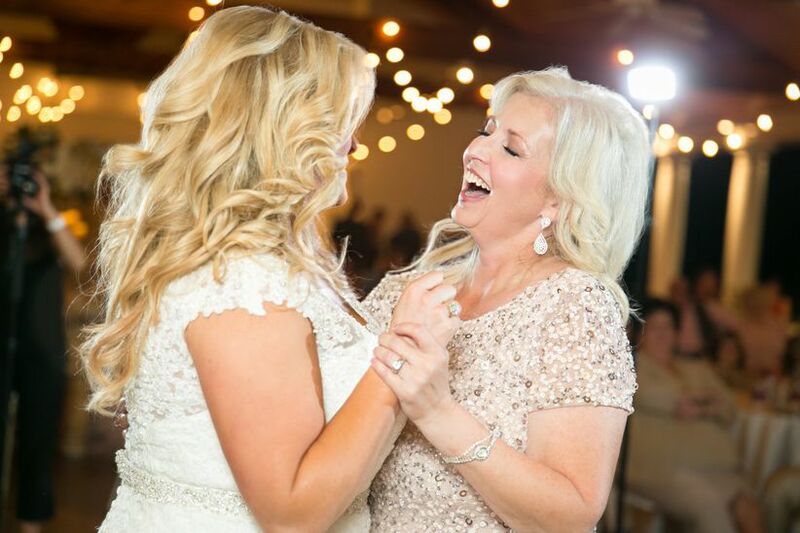 Of course, figuring out how to include Mom in wedding planning is totally up to you, as well as her availability to make all of the important appointments. 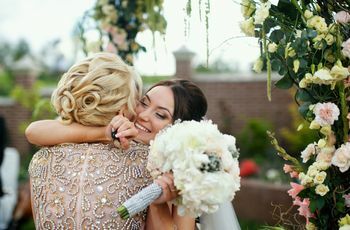 The first thing on your wedding prep to-do list should undoubtedly be celebrating with your friends and family—Mom certainly being one of the first. In fact, Isadora Martin-Dye of Rixey Manor in Rixeyville, Virginia, recommends holding off on posting anything about your engagement on Facebook until you’ve told your parents in person. “Bring a bottle of bubbles and take at least one evening to talk about the past, future and all the amazing things about you and your other half,” she says. 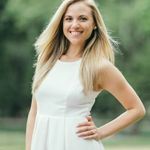 “The same way you’ve been envisioning walking down the aisle since you were a little girl, your mother has been envisioning picking out the perfect dress with you,” says Liz Curtis, wedding planner and founder and CEO of Table + Teaspoon. “Even if you don’t see eye-to-eye on fashion, don’t rob her of this time-honored mother-of-the-bride tradition.” Just make sure to have a talk about expectations before you go so she knows not to be too overbearing as far as her opinion in one direction or another. In the end, your wedding dress should be your decision alone. “Choosing buds for your bouquet, bridesmaids bouquets, boutonnieres, centerpieces, and aisle decor can be overwhelming on your own, so bring your mom along when interviewing florists,” suggests Curtis. If she has been married before, she likely remembers the flowers she chose for her day, and it might be a nice gesture to incorporate some in her honor! Assuming that you’re not DIY-ing your wedding-day nails, you might want to consider inviting Mom along to get pampered before the wedding festivities. Curtis also suggests having your mom host your bridesmaids at her home using one of the many new on-demand beauty apps where manicurists come to you. “Alternatively, book your favorite salon and put your mom in charge of bringing champagne for the group,” she adds.